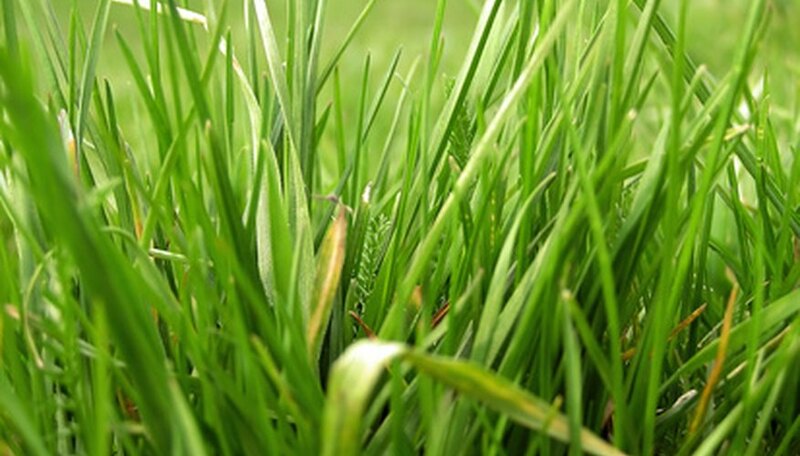 St. Augustine grass is commonly planted in the Gulf Coast areas of the United States. It grows well in hot, salty climates and can cope with drought. St. Augustine grass can be planted in a variety of soil types with a pH range of 5.0 to 8.5. Because this variety of grass does not deal as well with traffic as other types, it may thin out or develop bare spots over time and need to be reseeded. Prepare the patch of dead St. Augustine grass for reseeding. The grass seed has to touch soil directly to sprout. Eliminate debris that will prevent contact such as sticks, weeds and stones. Run a rototiller into the ground, to a depth of at least 4 inches. Loosen up the compacted earth so there are air pockets, which allow for root growth and development. Put 1 inch of compost and 1 inch of sand on top of the grass patches. Combine them with the local soil to increase fertility. Apply a starter fertilizer to the area you're reseeding. This will add nutrients and help the St. Augustine grass seed germinate quickly. You also can choose a fertilizer that has a high amount of phosphorus. With either type, follow the application instructions from the manufacturer. Use a hand spreader to reseed small areas. Opt for a mechanical spreader if you are repairing a large lawn. The St. Augustine seed container will tell you how much seed to use. Run the back of a metal rake gently over the seed. Cover it with 1/8 inch of soil. This layer will help it germinate and keep it from blowing away. Water the grass patch deeply for the first 10 days. Watering for five- to 10-minute intervals twice daily should be sufficient. Once the seed germinates, cut back to watering the reseeded patches to one 15- to 30-minute interval daily. Wear gloves when handling St. Augustine grass seed and fertilizer. Do not walk on grass patches until they are established. Avoid watering St. Augustine grass in the evening because the dampness encourages disease infestation.